Can You Really Change How Happy You Are? In recent years, scientists have reached the overwhelming conclusion that yes, it's possible to change our happiness levels—for good. Here's why. People who take time to reflect upon the things they're thankful for are happier, sleep better, and have stronger immunity. Here's how to make it work for you. Working towards your goals can give you meaning and purpose in life. But what are the best ways to get to where you want to go? Here are six science-based strategies. Are your negative thoughts playing over and over in your head like a broken record? Here are a few techniques that can help you stop dwelling and refocus your mind. You've probably heard of the pay-it-forward effect or the "helper's high"—but just why does giving feel so good? And why is one act of kindness often followed by another? What do the happiest people have in common? They have a handle on at least of few of these instant happiness boosters, some of which may already be elevating your mood. Meditation used to feel like something reserved for yoga addicts, but growing research is showing benefits for the mind and body that every one of us could use. You're cranky. Grumpy. In a funk. Before you pull the covers over your head and give up on the day, here are three powerful ways to turn your bad mood around. It can take just seconds to go from feeling glum to feeling good, if you pick the right approach. Here are the most effective ways to fast-track your happiness. Michael Norton, a marketing professor at Harvard Business School and co-author of Happy Money, reveals strategies for getting the most happiness bang for your buck. We all think of stress as the enemy—but it doesn't have to be! Learn the expert strategy for conquering a negative situation around and turning bad stress into "prostress." Just what do grateful people have in common—and why is it worth practicing gratitude all year round? Learn how to feel more thankful, regardless of your circumstances. All the research on happiness points to one important conclusion: Other people matter. Here are three ways to build the quality and quantity of your relationships with others. Research shows that thinking like an optimist can pay off big—not just when it comes to your salary, but for your health, relationships, and your overall well-being. 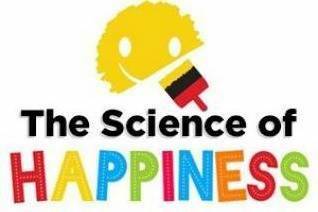 What do top scientists know about what makes us happy—and what doesn't? Here's everything you need to know about the science behind living a more fulfilling life. Whether you're struggling now or simply want to build up your resilience for tough times in the future, here are six science-based strategies that really work. To get your brain off autopilot when it comes to your beliefs about what will—or won't—make you happy, Sonja Lyubomirsky, Ph.D. shares 3 valuable lessons from her book. Happify's activities are based on academic studies from the fields of positive psychology, neuroscience, and behavioral psychology. See our full list of references here!